It was going to be one of the biggest events of the spring. Apple CEO Steve Jobs would address the multitudes at the Spring Internet World expo next month in Los Angeles. 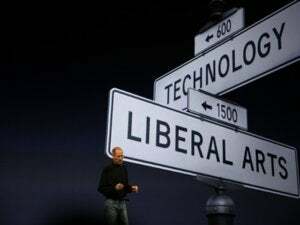 There, it was presumed, Jobs would give one of his trademark keynote speeches, preaching the Mac gospel and introducing new products: say, a souped-up piece of hardware, a fancy new operating system, or an Apple-branded handheld device that combines Internet access with wireless telephony and also grates cheese. Alas, it was not to be. Although Apple, a corporate sponsor of Internet World, still plans a major presence at the show, Jobs announced last week that he was ducking out on the speech. Instead, the keynote address will be given by America Online's Steve Case, widely known for his multiple costume changes and lavish opening medleys. Why'd Steve Jobs decide to skip Internet World? Apple, keeping an unusually tight lip with the press, isn't saying. And so it would seem that if we wanted to get the real answer, we'll just have to wait for "Pirates of Silicon Valley II: iMac Boogaloo" starring Noah Wyle, Ron Silver and Judge Reinhold as Larry Ellison. But that shouldn't stop us, as Responsible Journalists, from engaging in rampant speculation, rumor mongering and outright conjecture. Here, based on several phone calls, unnamed sources and stuff we just plumb made up, are the possible reasons Steve Jobs won't appear at Internet World. And who knows? One of them might actually be true. Macworld Associate Editor PHILIP MICHAELS ( philip_michaels@macworld.com ) covers the news for Macworld.